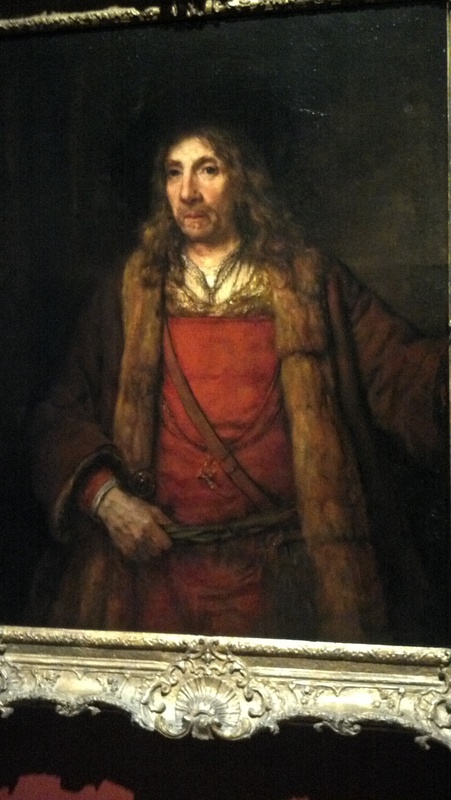 Today, for Mother’s Day, I took my mother (and father) to the Rembrandt exhibit at the Cleveland Museum of Art. It’s amazing what a person can do with some simple paint to so capture light and shadow, the texture of human skin, the moisture in the eyes to bring them to life and convey living emotion. Standing in front of some of the paintings, I would swear the man staring back looked more real than any high-definition photograph could hope to achieve. The skill of the 400+ year-old artist aside, this is primarily an earth-science blog and Rembrandt van Rijn, though having an appreciation of nature, was not a geologist, or even much of a scientist in the strict sense. So, here’s the next best thing: an impact crater named after our Dutch friend. Rembrandt impact crater is the sixth largest crater in our solar system. 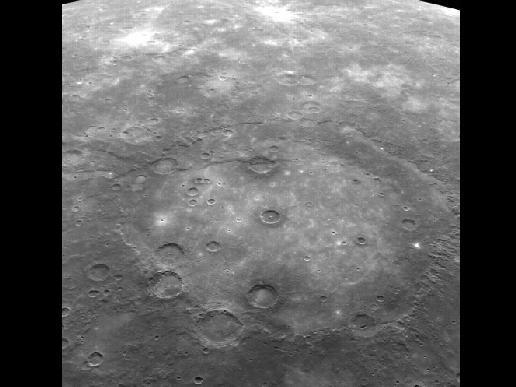 Reaching over 440 miles in diameter, it resides on Mercury along with Caloris (an even larger crater). That’s over twice the size of the largest known impact crater on Earth (Vredefort, South Africa). The crater is surrounded by blocky impact deposits, but also contains relatively smooth plains within, which are interpreted as being volcanic in origin (lava flows, most likely). I’d love to include much more on the geology of Rembrandt crater but, as we know, it is Mother’s Day and I must be going. Happy Mother’s Day to all mothers: past, present, and future! My earliest memories of the Cleveland Museum of Art revolve around how my mother and I used to stand in front of Rembrandt paintings and marvel at their greatness. Glad you enjoyed the post, Mark! Thanks for stopping by!